Vivo V1832A/T Full Specifications Revealed on TENAA; Could be Vivo S1 Pro - Playfuldroid! 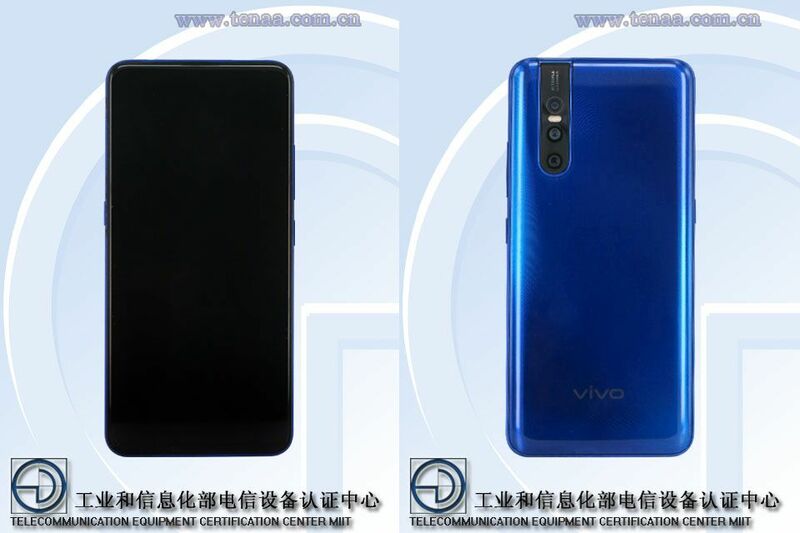 A new Vivo phone with model number Vivo V1832A/T has been approved by the TENAA agency in China. The specifications of the smartphone suggest that it could be the Chinese edition of the Vivo V15 Pro smartphone. The Vivo V1832A/T smartphone measures 157.25 x 74.71 x 8.21mm and it weighs 185 grams. The smartphone houses a 6.39-inch AMOLED display that offers full HD+ resolution. The image of the phone suggests that it could be sporting a notch-less display. It comes with an in-display fingerprint reader. The smartphone is powered by an octa-core processor that works 2.0 GHz. It could be arriving in two variants in China such as 6 GB RAM + 128 GB storage and 8 GB RAM + 256 GB storage. For capturing selfies, the phone is equipped with 32-megapixel selfie camera. The smartphone is equipped with a triple camera setup that includes a 48-megapixel primary sensor, an 8-megapixel secondary sensor and 5-megapixel sensor. This setup is different from 48-megapixel + 8-megapixel + 5-megapixel triple camera module found on the Vivo V15 Pro. The handset includes a 3,620mAh minimum capacity battery which carries support rapid charging. It will come loaded with Android 9 Pie OS. There is no confirmation on the moniker with which Vivo V1832A/T will be hitting the Chinese markets. The Vivo V15 was recently unveiled as Vivo S1 in China. Probably, the Vivo V15 Pro could be some modified specs could be debuting in China as Vivo S1 Pro.